Chorizo sausage made from heritage-breed pork, raised humanely, with no antibiotics or hormones. 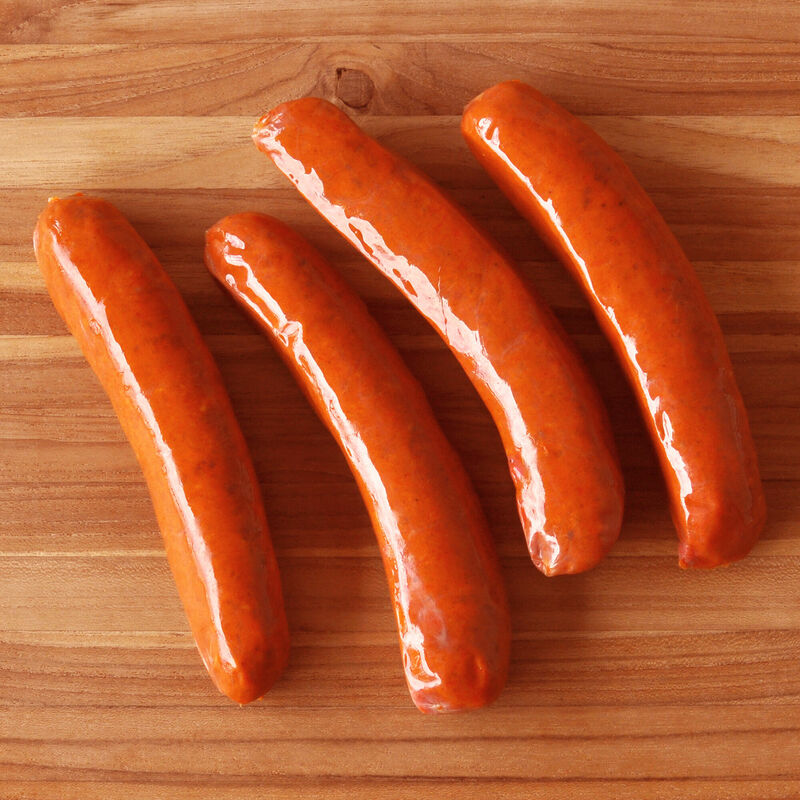 Our fully-cooked, ready-to-eat Spanish-style sausage is made with all-natural ingredients, including the smoky paprika which gives it flavor and color. There are no artificial additives, nitrates or nitrites in our all-natural chorizo sausage. Grill the chorizo whole over hot coals seasoned with applewood chips and serve sliced for an easy appetizer. Try chorizo the Portuguese way—seared or flambéed with wine or a splash of hard, clear liquor to accent the rich flavors. Perfect for paella and tapas, our smoky chorizo is also great for soups or stews and brings zing to rice and pasta dishes. Pair it with fish for a classic Iberian dish, or try it mixed with shrimp and chicken for a spicy accent.